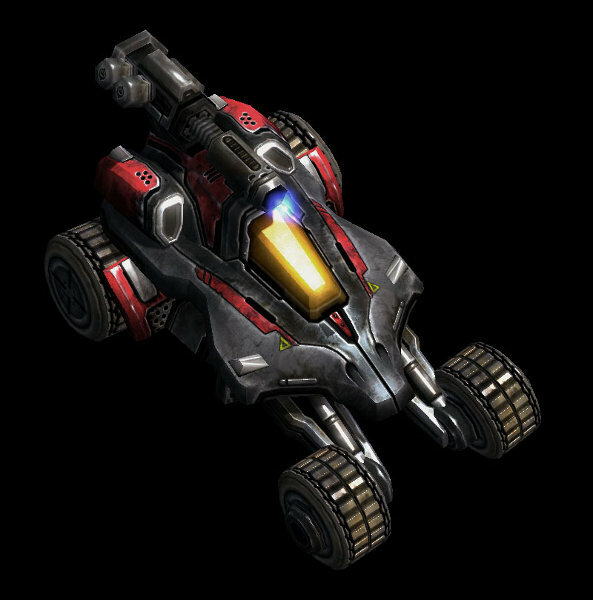 A relatively small wheeled ATV, only outfitted for a single passenger (aside from the driver), but mounted with twin plasma flamers on a rotating turret. Top speed is comparable to an APC, but the Hellion is much faster off the line. Statistics: dST/dHP 15; Hnd 0; SR 4; HT 13; Move 4/40; LWt. 10; Load 1; SM +4; Occ 1+2PVS; dDR 18/9; Loc g4Wt. State-of-the-art transformer technology allows a specially-modified Hellion to turn into a big robot, in order to do those things that only a big robot can do. Transformation takes 10 seconds. Statistics: dST/dHP 15; Hnd +4; SR 3; HT 13; Move 8/16; LWt. 10; Load 0; SM +4; Occ 1PVS; dDR 18/9; Loc g2A2L4Wrt.